I was introduced to the idea of an Islamic Antichrist some time ago when I came across a couple of articles, one of which concerns the information below about the real identity of the people who sacked Jerusalem in A.D. 70. Please know I did not discover this information but my research that follows in The Antichrist: European Aristocrat or Middle Eastern Muslim? Part 1 was my necessary due diligence for confirmation and it is a bit more in depth than the original article. Part 1 is a historic examination of Daniel 9:26 showing how it points to a revived Islamic Caliphate. Part 2 examines various peripheral Scripture concerning the ethnicity of the Antichrist. It is widely believed among today’s Bible scholars that the coming Antichrist will be a European man from the heart of a revived Roman Empire. Some of the evidence for this view is taken from Daniel 9:26 which is part of the famous 70 Weeks Prophecy that Daniel recorded from the angel Gabriel who was sent by God to tell him of the things that were to come. 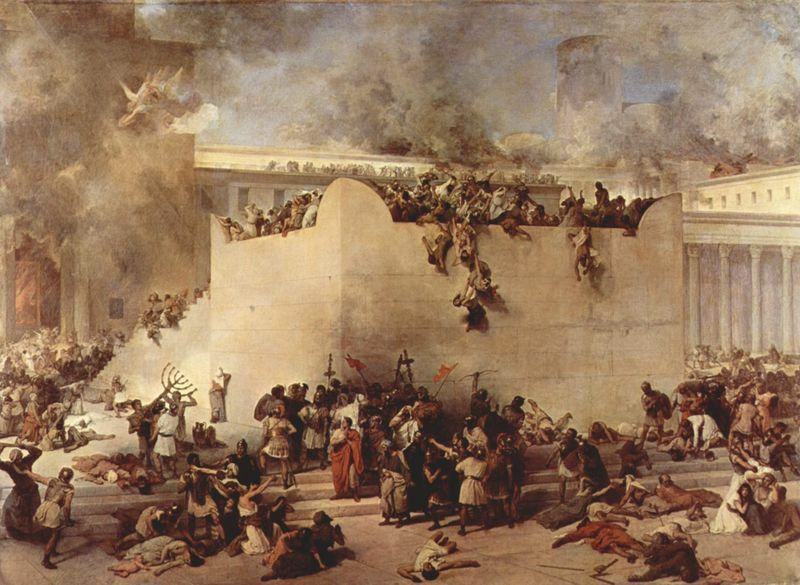 It is well known that the Roman Army swept into Jerusalem in A.D. 70, some 600 years later, resulting in the destruction of the Jewish temple shortly after the death and Resurrection of Christ. Because of these events, many scholars today have interpreted this verse as pointing to a European Antichrist from a revived Roman Empire. The recent rise of a European superstate, the European Union, has served as further proof for this view but are we looking in the right place? Is this what the Book of Daniel actually says? I intend to use this same verse et al to make a case for a Middle-Eastern Antichrist rising from the heart of an Islamic Empire by looking a little deeper into God’s Word and some of the history surrounding the people who actually destroyed the Jewish temple in A.D. 70. Daniel 9:26 says the people of the prince who is to come will destroy the city and sanctuary. The prince who is to come is the Antichrist. The city is Jerusalem. The sanctuary is the temple. The city and the temple were destroyed in A.D. 70 by the Roman Army, which leads many to believe the Antichrist will be European. 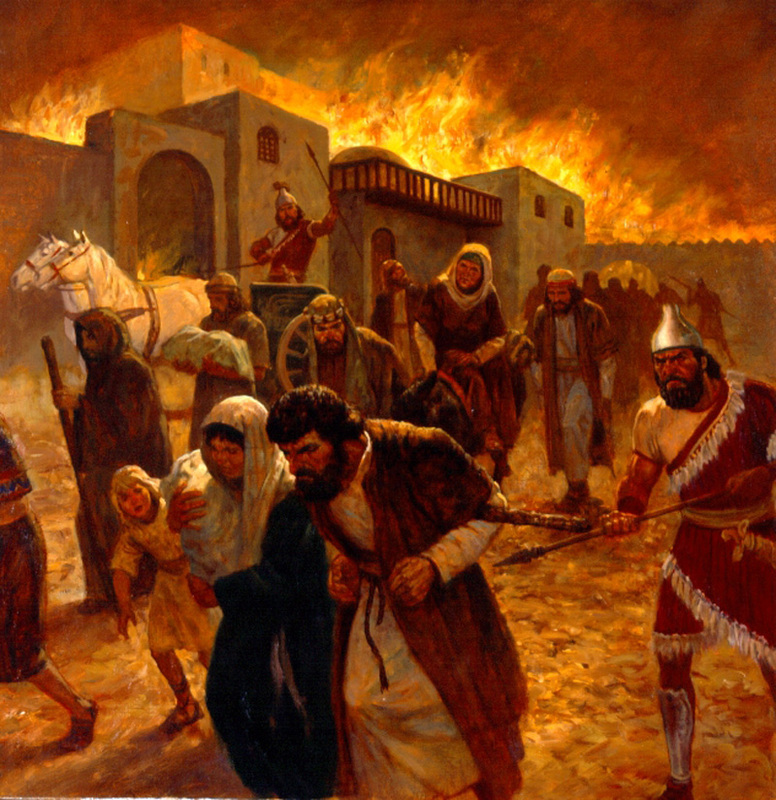 However, scholars agree that some time earlier than A.D. 70, Rome began the practice of absorbing the peoples of the regions it conquered into its army1 and ancient historians have documented in their writings that the ethnicity of the people who actually destroyed Jerusalem and set fire to the temple was Middle-Eastern. Let’s look at some of these fascinating accounts from well-respected historians. Tacitus. Tacitus (A.D. 56 – A.D. 117) was a senator and Roman historian. Here’s what he writes concerning the Roman occupation of Jerusalem and the destruction of the temple in A.D. 70 in The Histories. Tacitus lists four legions involved in the sacking of Jerusalem, the 5th, 10th, 12th and 15th. We will look at the make-up of these legions later. He then goes on to say that in addition to three local kings giving forces to the Romans, a large contingent of Arabs who had a hatred of the Jews also fought with them. Josephus. Josephus (A.D. 37 – A.D. 100) was a Jewish historian. He writes of these same events in A.D. 70 in The War of the Jews. Josephus also places Middle-Eastern people within the Roman Army. Rome had troop support from the neighboring kings in the region near Jerusalem plus additional Middle-Eastern armies. Syrian troops are again mentioned here, a considerable number. In addition to other kings in the area, Malchus, the king of Arabia, sent 6,000 troops to fight with Rome. Some of the Jews who deserted to the Romans were brutally murdered by the “Arabians, with the Syrians” within the Roman Army to the dismay of Titus Caesar. The massacre by the Syrians and the Arabians sets the precedent for those of Middle-Eastern origin within the Roman Army to disobey Roman authority because of their hatred of the Jews. This will be of importance when we see below who it was that really destroyed the temple. According to Tacitus, it would seem that Titus wanted the temple to be destroyed. However, according to Josephus, Titus was quite upset when he heard of the destruction of the temple at the hands of the Middle-Eastern conscripts within his army. It would appear there are two conflicting accounts of Titus Caesar’s involvement with the destruction of the Jewish temple. It could be that perhaps Titus simply changed his mind on the matter. However, what is interesting to note is that those who actually burned the temple did so out of their hatred of the Jews. We know from Tacitus above that a large contingent of Arabs joined the Roman Army out of their hatred of the Jews and we know from Josephus that Syrians and Arabians massacred a number of Jews, also out of their hatred for them. Even if Titus did order the destruction of the temple, it is the ethnicity of the people who actually did it which should interest us. Until now, I have alluded to the fact that it was indeed mostly Middle-Eastern peoples who destroyed the city and temple. Below are the ethnicities of the soldiers who actually made up the legions and cohorts within the legions. The destruction of the city of Jerusalem and the temple by Middle-Eastern peoples fits with the true identity of the Antichrist’s future empire in Revelation 17 and 18. It is not Rome but Babylon just as it says. Islam is now the religion of the Middle-East. I don’t believe the Antichrist will be a European Aristocrat but a Middle-Eastern Muslim. Millar, Fergus. “Soldiers, cities, and civilians in ….” 2011. Google Books. 15 January 2011 <http://books.google.com/books?id=2ijMkjyG3cQC&pg=PA115&lpg=PA115&dq=Legions+based+in+Cappadocia,+Syria+and+Egypt+were+made+up+from+of+recruits+from+Asia+Minor,+Syria+and+Egypt&source=bl&ots=JJG8PNj4z0&sig=xqqbn7SKndX0CR1rdO2d2r0WiSE&hl=en&ei=UEoyT>. Tacitus. “The Internet Classics Archive.” 2009. 11 January 2011 <http://classics.mit.edu/Tacitus/histories.5.v.html>. Josephus. “Christian Classics Ethereal Library.” 2011. 11 January 2011 <http://www.ccel.org/j/josephus/works/war-2.htm>. Josephus. “Christian Classics Ethereal Library.” 2011. 11 January 2011 <http://www.ccel.org/j/josephus/works/war-4.htm>. Josephus. “Christian Classics Ethereal Library.” 2011. 11 January 2011 <http://www.ccel.org/j/josephus/works/war-5.htm>. Josephus. “Christian Classics Ethereal Library.” 2011. 11 January 2011 <http://www.ccel.org/j/josephus/works/war-3.htm>. “LacusCurtius Tacitus, Histories — Fragments.” 2011. 15 January 2011 <http://penelope.uchicago.edu/Thayer/E/Roman/Texts/Tacitus/Histories/Fragments*.html#2>. Very interesting, Jon. Thanks for posting that research. It’s not important who destroys factually the jews. You won’t never see the identity of the real descendant of Titus.